Sir i'm NAGARAJU,currently im doing 4th year B-Tech from malla reddy inst.of tech. & science.Now my present aggregate is 64% in B-Tech ECE. Im not getting job wth my aggregate and also my main drawback is the lack of communication skill.I don't know why i am unable to speak in front of everyone when i attend for group discussion.So i kindly request you to let me know how to overcome this problem,because there are only four companies remaining for oncampus placements..
hello dear, yes you think right that if you are lacking of communication skill then you might not able to get a job in campus placement or in anywhere else.The first think you should know that everything is done by practice.So the best way to improve your communication skills is to practise daily in front of mirror. Below i am providing you a link where you will get some important tips to improve your communication skill and don't worry it will be fine in future. First if you have institutions like confidence factory where they teach you how to overcome the thing called "STAGE FEAR" they please do join. These institutions make sure your speaking skills increases by speaking more and more in english. If you want to improve on your own then start watching english movies or english seasons or watch english news channel but turn off the video and just hear what they are saying. By watching you will be able to know what they are saying but by listening if you know what they are speaking exactly it will not only improve your word skills but also help you in speaking good english. make a group of 5 to 6 people and select a general topic and start a group discussion. Here all of them will be your friends and you wont have that awakard feeling of speaking in front of a stranger and before you know it your fear will come down. Take a english newspaper and start reading in front of a mirror for 5 mins loudly. Follow these steps and you will get better in spoken english. Please dont take this lightly coz its your future that you will be risking so do follow and i guarantee you that you will improve. 1)As you struggling with communication skill start with today talk with your friends in English not in other language or mother language. 2)If you get struck anywhere your friend will also help you to get it rectified. 3)Study daily magazine or newspaper try to learn new words and try to implement in your sentence so that you never forget the word. 4)Talk in a group of friends so that you get confidence that you lack in group discussion. 5)Prepared it well you get placed in good company. DO NOT WORRY THAT YOU ARE WEAK AT COMMUNICATION SKILLS. MOST OF THE STUDENTS LACK THE COMMUNICATIONS SKILLS AS THEY COME FROM DIFFERENT BACKGROUND. THAT IS NOT A BIG PROBLEM IF YOU ARE STRONG ENOUGH FROM INSIDE AND GET YOURSELF DESTINED THAT YOU ARE GOING TO GET PLACED IN THE NEXT CAMPUS PLACEMENT. I WOULD SUGGEST YOU SOME OF THE STEPS THAT YOU SHOULD GO THROUGH SO THAT YOU CAN IMPROVE YOUR COMMUNICATION SKILLS WITH IN A SHORT TIME. "THE SECRET TO LEARN THE COMMUNICATION SKILLS IS THAT DONT BE HESITATED TO TALK TO OTHERS OR ANYONE". 1.Choose someone you think has good communication skills and imitate them. 2.Hang out with people who have good communication skills. 5.When you are at public places, increase your sensory acuity by noticing peoples body language, lip-reading, and observing they behavior ie the way they interact with other people. 6.Set the objective to be nice to every person you meet, no matter what their attitude towards you is. Attitude is contagious. 7.Set the objective of every meeting. 8.When communicating with a single person or a group, let the other person talk (and you listen) most of the time. 9.Good Communication Skills begin at home. Therefore, the previous 3 steps must first be applied while communicating with family members. 10.Before going to bed, take a minute and review the day. HOPE YOU WILL DEFINITELY BE PLACED IN ANY ONE OF THE COMPANY. THANKING YOU, ALL THE BEST. do not worry about that whenever you will be in college then try to speak in english with your friend and with your teacher..and also do not worry about job there is lots of company..maintain 65% or above..so only thing is that read newspaper use dictionary and stand front of mirror and try to speak in English by yourself..
1)If you are in hostel then make your roommates as friends and your first step is to make a rule among yourself that 'we should speak in english only'.you wont feel fear infront of your friends.because friends will always be there to rectify your mistakes while communicating and you wont feel guilty.dont bother about the mistakes. 2)if you are at home then make the above rule with your siblings,if you have.or even you can play a game like JAM with your siblings and defenately you wont get bored and at the same time you will have a fun and knowledge too. 3)there is one more tip.i think it works,stand infront of mirror and practice what you want to say.before facing strangers you have to face yourself.this also increases your confidence and make feel that you are the only person who can communicate better.you will have a chance to rectify your mistakes while communicating. I thinks you spend most of the time alone or you do not to talk with your frinds and teachers. Nothing to worry.Try to improve your % of marks in the last semester. start speaking with your friends and teachers in english.Go through "Rapid speaking english book" and apply in your daily life for interaction. Avoid hesitation and don't be affraid. Also go through english news paper daily and make a notes of the words and phrases not known to you,be aware the meaning of these words. Also practice few minutes before mirror. Think your self as a teacher and student both and make question and answer yourself for some times. You will have many scopes even if you don't get in campus selection. so its time to pull of socks now. dont fear to talk infront of any one. try to communicate with your friends family.talk with them. dont be shy or dont be get nervoesd. Group disscustion is the pattern of companys so you have to face it . so be ready be confident. Hi i can surely understand your problem and will surely try to help you. Developing effective communication skills is very important for getting through the interviews. First of all you should try to be calm and composed in front of the interviewer and not be nervous. Nervousness can really mar your interview. You should try to speak in english as much as possible with your relatives and friends as well as family. This will increase your confidence. Watch good english movies and read good novels. Also you can try to communicate with yourself in the mirror in English. This will surely give you more confidence. 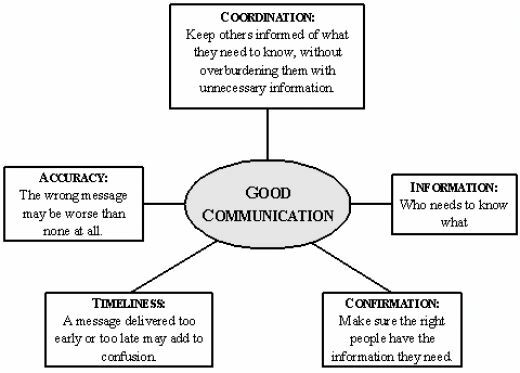 If you think you lack a good communication skill then its not too late to improve it. You have to work on it to get an edge over it. If you have a stage fear then make a small group of friends and pick any topic and have a group discussion on it and ask your friends to give feedback so that you can know your flaws and can rectify it. practice speaking in english with your friends and family. speak to yourself even in your thinking process. Join a good institution where they will sharpen your communication skills and personality. Dear friend. . . . .i would like suggest you few points regarding campus interview. . . . . . . .in order to crack interviews make sure that you put up a attrative resume . .see to that you are strong in your area of interest. . .try to speak in english. . . Be bold in what ever you say. . .give a smart self intro. .few companies will expect to give self intro for about twenty minutes. . .so prepare for that. . . . . . .definitely you will be placed through campus placements. . . .hopes its informative. .
Don't worry it happens with most of the peolple after graduation in the specific field. You need to build some confidence first and do well academically as well. 64% is average marks which you have obtained there and your communication skill is also not perfect. I would recommend you to go for personal development programmes first, read more and more english books, read daily english news papers and articles and you can also watch english motivational movies or documentaries. M.Tech in the similar field is an added advantage there. Yes a good communication skills are very important to get a job int he private industry now a days..
You can practice English speaking and develop your communications skills by following methods..
By doing this you will certainly gain confidence which will help you to clear the rounds like GD and Interview..
1.Read English news paper at least one hour a day. 2.Listen English news twice in a day. 3.join to a English speaking course. 4..prepare a unknown word bank with meaning. 5.Do practice English by of English talking. If you follow above procedure soon you are fit for pvt.co.job. While speaking in front of the others, you must have to think that no one is present in front of you. Practice daily to speak in front of the mirror. Read the newspaper daily and also pronounce loudly while reading it. Watch the english news channel daily. You may also go for classes where communication skills are taught. Not getting job anywhere due to lack of communication skill? -> when you completely listen other person. ->you have a faster thinking process. Means you got a solution of any problem with in short time period. -> A good presenter means when you are able to present yourself in a good manner. Or you can convenience people easily. -> A positive Attitude: you should have a positive attitude means don't think ever negative. -> Be a active listener make a eye contact with interviewer or any other person. -> Make friend and try to communicate with them in a perfect manner. -> Read newspaper daily and try to speak difficult words with correct pronunciation. -> Don't hesitate speak properly with confidence. -> Try to make good your body language also because for presentation its a necessary that you have a good eye contact and body language. -> Also Think positive that you are better than anyone than you show a positive confidence in your soul. This is a typical downside with most of the scholars. And from your writing its clear that your descriptive linguistics is obvious and you'll be able to kind significant sentences. That is the basic half very. therefore currently comes the speaking half, for that i'd raise you to try to to somethings. 1st if you've got establishments like confidence works wherever they teach you the way to beat the issue referred to as Stage Fear they please do be a part of. These establishments make certain your speaking skills will increase by speaking a lot of and a lot of in english. If you would like to enhance on your own then begin look english movies or english seasons or watch english news channel however put off the video and simply hear what they're oral communication. By look you may be ready to apprehend what they're oral communication however by listening if you recognize what they're speaking specifically it'll not solely improve your word skills however conjointly assist you in speaking sensible english. build a bunch of five to six folks and choose a general topic and begin a bunch discussion. Here all of them are your friends and you wont have that awkward feeling of speaking before of a unknown and before you recognize it your worry can come back down. Take a English newspaper and begin reading before of a mirror for five minutes loudly. Follow these steps and you may recuperate in spoken English. Please do not take this gently coz its your future that you simply are risking therefore do follow and that i guarantee you that you simply can improve. The company resources square measure alleged to be used for any work that ends up in some profit to the corporate. So, clearly you're not alleged to use the corporate automobile for your personal profit. albeit you'll be able to pay some quantity of cash on the fuel, still what concerning the conventional wear and tear that takes place. conjointly there's a further downside of theft/accident wherever you will got to answer queries on why was the automobile getting used outside the town etc. Same is that the case with house moreover. The house has clearly been given for private use, then again you cannot rent that house and begin earning cash from that. Its invariably safer to require written permission from your seniors whereas victimisation any of those resources for private use. lack of communication isn't a problem it is a small issue just you need to get motivated.the daily practice with english and your own class room can do work a easy thing.practice talking english to friends about daily news.watch news channels ,reading english newspaper. Communication skills are very much required for any candidate to get a good job. Without having communication skills, it is difficult to get the job especially in the present scenario. try to improve fluency in the language first. Try to give seminars and lectures and test your communication. Participate in the events like Group Discussion as many as you can. Its good that you are about to complete your B.Tech. As far as placements are concerned,it is a must for a candidate to have good communication skills in order to get selected by any company. This problem is faced by many students like you. But there is nothing to worry about. You still have around 1 year to improve your communication skills. 3) Watch English movies in order to learn the accent and pronunciation of words. 4) Speak in English with your pals and teachers as much as possible. 2 Watch English movies and try to speak simultaneously. 4 Think in English only. 6 Join personality development courses. Now a days communication skills being crucial for all the candidates. If there are no communication skills you will no where be considered for giving job. That much importance is there for communication skills. join in some training institutes which came into picture especially for this purpose. Train well and be strong enough. Try to learn as quickly as possible. This type of problem occurs very much .In such a movement you can only one thing that is who got the job you direct go to him and say him to help you regarding this to get the job.Or you can go to your teacher and tell him the problem and say him that if he taught you for some days.And you have to work hard for it. communication skills are important for every one to get job. if you have not them, then improve them. there are some special institutes in the market came into picture. tell them where you are weak. they will mould you as per that. because communication skills are very much important. Yes at present time for snatching a job good communication skills is necessary.